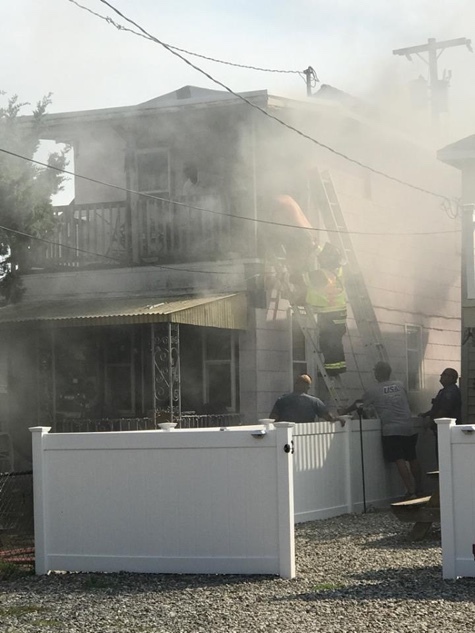 On Wednesday, August 2, 2017 at 4:33 P.M. Wildwood City Firefighters responded to 110 East Montgomery Avenue for reported smoke from a dwelling. 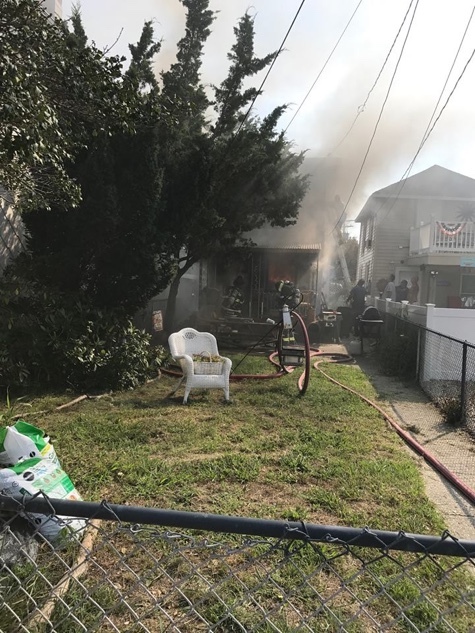 Quint 3, under the command of Captain Mathew Johnson and North Wildwood Quint 2, under the command of Captain Jerry Tirotta, were initially dispatched. Chief Daniel Speigel arrived on-scene and reported a two-story wood frame dwelling with smoke showing and requested the alarm upgraded to a box alarm. Initial reports on-scene were indicating the dwelling may be occupied. An occupant then presented himself on a second floor balcony unable to escape the home. The all-hands was struck having Rio Grande Fire respond to the scene for R.I.T. and Wildwood Crest Fire cover the city. Firefighters gained access to the victim via a ground ladder, removed the railing with a chainsaw and rescued the victim from the second floor balcony. The victim was treated by Wildwood Crest EMS on scene for smoke inhalation and refused transport to CRMC. Firefighters continued to extinguish the fire and search the home for any other occupants finding none. Fire was placed under control in about 20 minutes after arrival. The first floor of the dwelling sustained severe fire and smoke damage with the second floor sustaining heat and smoke damage. Damage is estimated at $ 25,000. 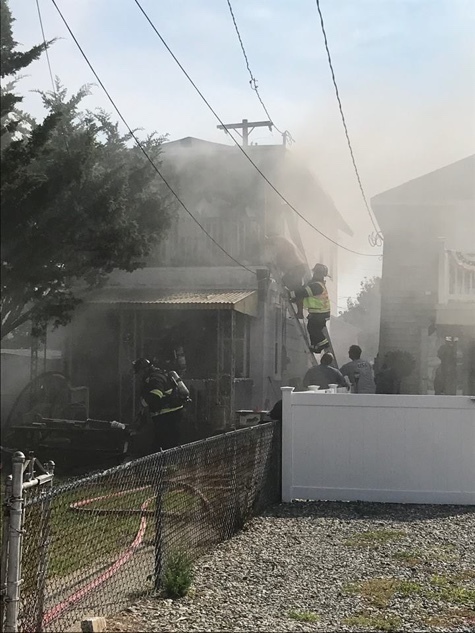 Units operating on scene were Wildwood City Fire, North Wildwood Fire, Rio Grande Fire, Wildwood Crest EMS and Wildwood Police. Wildwood Crest Fire covered the city and responded to another fire incident on the boardwalk. 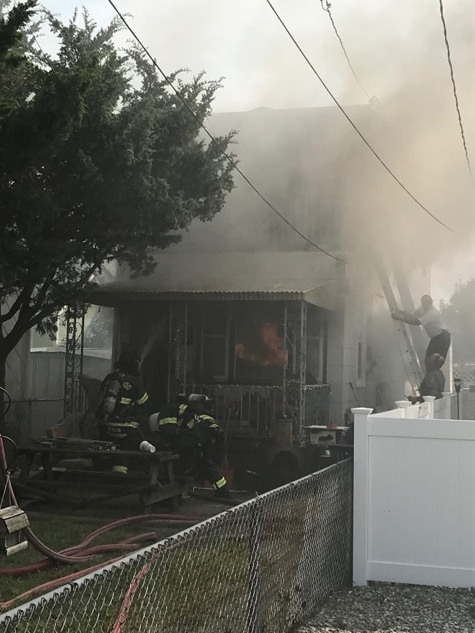 Fire was investigated by the Cape May County Fire Marshal’s office and determined to be accidental due to smoking. No other injuries were reported. Fire units cleared the scene in about an hour.